Stonehaven parkrun will hold a Christmas Day run at 9.30am on 25th December 2018. On New Years Day Stonehaven parkrun will be at 9.00am on 1st January 2019. This will enable the opportunity to do a double of Stonehaven parkrun followed by Montrose parkrun at 11.00am. New Years Day is the only day of the year when you are permitted to run two parkruns on the same day. Obviously we wouldn't be able to do this without some fabulous volunteers so do let us know if you want to help out. I hope you can join us for these extra special runs. 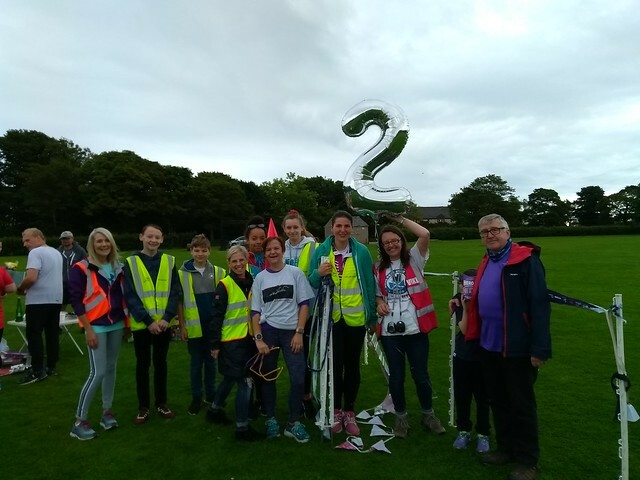 As it was our 2nd anniversary run we celebrated the following people that had run or volunteered loads at Stonehaven over the past year. We held 51 events over the past year with only 3 cancellations (2 due to snow and ice and 1 due to another event being held in the park). During the year we have welcomed 796 unique runners supported by 107 different volunteers. 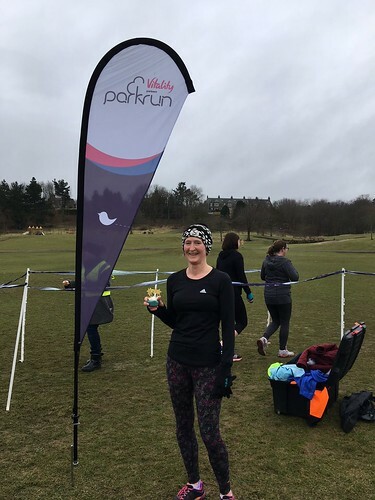 The Spirit of parkrun award was given to Caroline and Ellie Hughes - they have volunteered for a combined total of 49 volunteer occasions for this mother and daughter duo, baked amazing cakes and instigated a new runners briefing. Caroline is also now an RD. 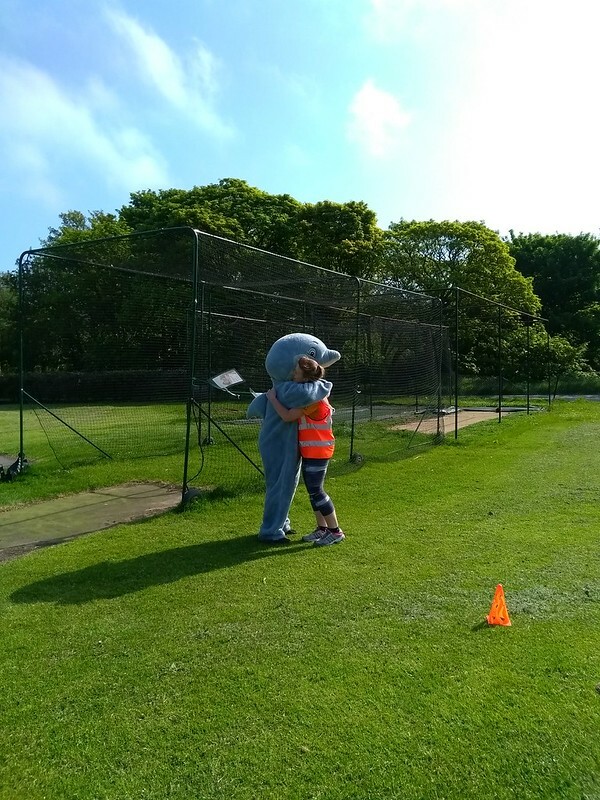 It was another beautiful sunny day and we were honoured to be joined by Splasher the dolphin before he performed his duties at the Open Air pool. 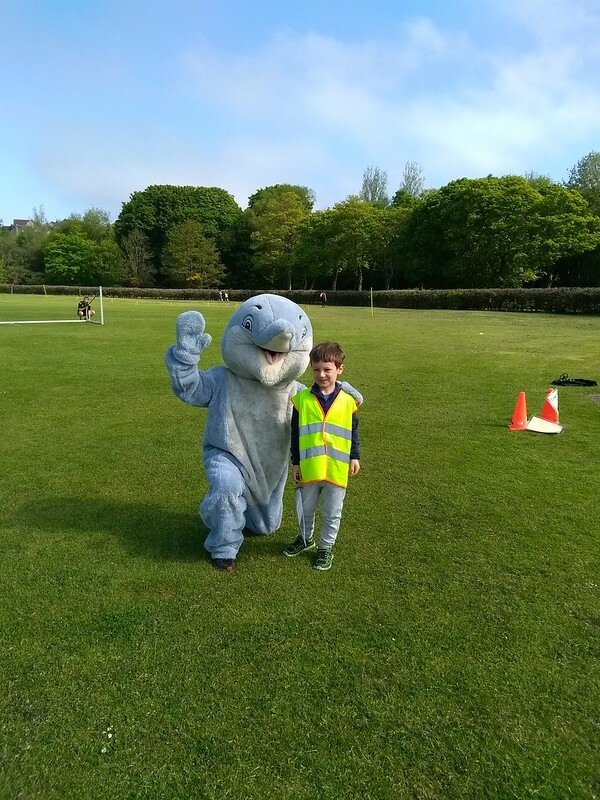 Splasher ran some of the route then spent some time high-fiving and cheering on the parkrun participants. Regular parkrunner Calum reached his 10th milestone and will gain a white t shirt to add to his purple volunteer t shirt. Local girl Harriet also reached her 10th milestone. This week 48 people ran, jogged and walked the course, of whom 6 were first timers and 20 recorded new Personal Bests. Representatives of 7 different clubs took part. This week 38 people ran, jogged and walked the course, of whom 7 were first timers and 6 recorded new Personal Bests. It was Val's 50th parkrun and she celebrated by coming in first lady and bringing us some chocolates - well done Val and thank you! The ever lovely Caroline also made us yummy cupcakes to celebrate Mothers Day weekend - well done to all the mummies who ran, walked or jogged or volunteered today. You're all awesome. 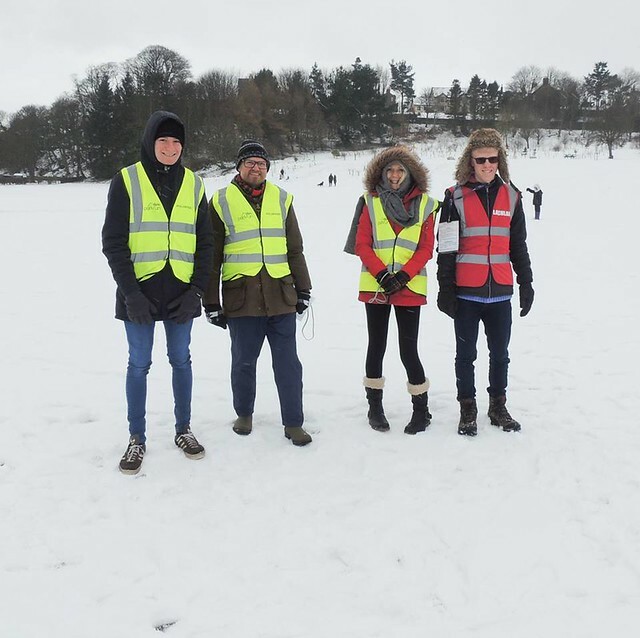 Thanks as always to the hi-vis heroes that help make parkrun happen. P.S Poorly Run Director Kate says THANK YOU as every single runner turned up with a barcode and they all scanned beautifully and nobody went home with a token. You made my life much easier! This week 31 people ran, jogged and walked the course, of whom 0 were first timers and 4 recorded new Personal Bests. Representatives of 4 different clubs took part. 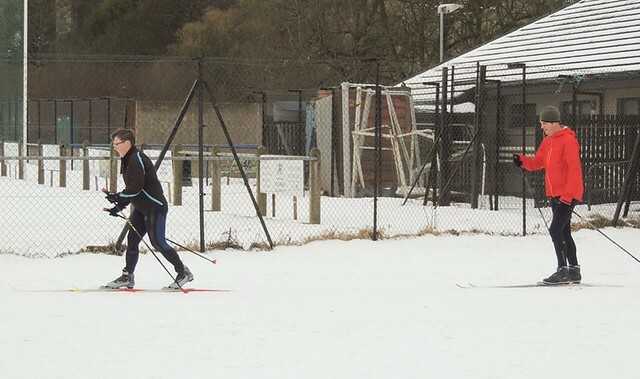 Rachel and Pete turned up on cross country skis and skied the whole 5k including up the hill 3 times! 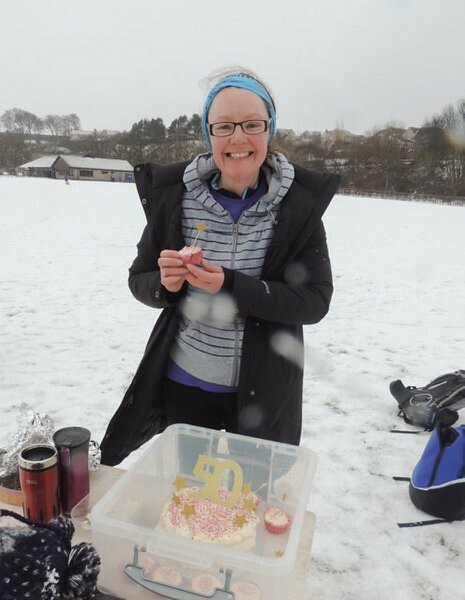 Vikki completed her 50th parkrun and everyone enjoyed some lovely cake baked by Caroline Hughes. Today's full results and a complete event history can be found on the Stonehaven parkrun Results Page. The male record is held by Ronald GAULD who recorded a time of 17:27 on 17th September 2016 (event number 2). 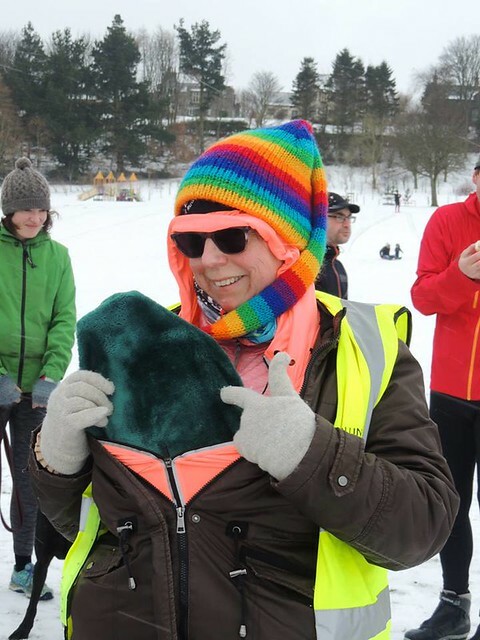 The female record is held by Jennifer WETTON who recorded a time of 19:14 on 3rd December 2016 (event number 13). The Age Grade course record is held by Philip COWIE who recorded 79.46% (20:32) on 24th June 2017 (event number 44). 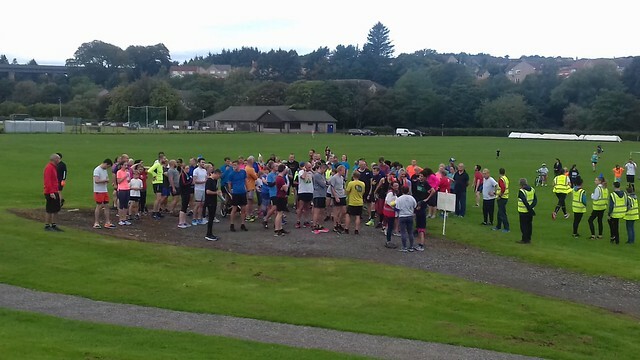 Stonehaven parkrun started on 10th September 2016. Since then 1,037 participants have completed 3,106 parkruns covering a total distance of 15,530 km, including 688 new Personal Bests.